THIS IS PRE-ORDER ONLY AND ETA IS MID-OCTOBER. NOT IN STOCK AND THESE ARE STOCK PHOTOS AND NOT OF ACTUAL GUITAR. Combining exotic tonewoods with premium pickups and appointments, the limited-edition Rarities Collection creates a truly unique musical experience. 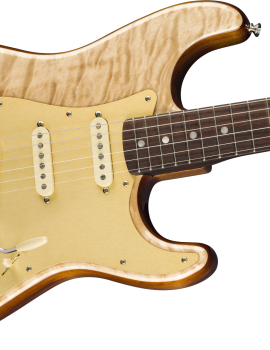 The Rarities Flame Koa Top Stratocaster features a two-piece ash body with a flame koa top and a one-piece, quartersawn European maple neck. The custom Tim Shaw overwound 59 gold-foil single-coil pickups are warm and clear, while the Shaw custom Filter’Tron™-style humbucking pickup delivers a powerful, articulate voice. 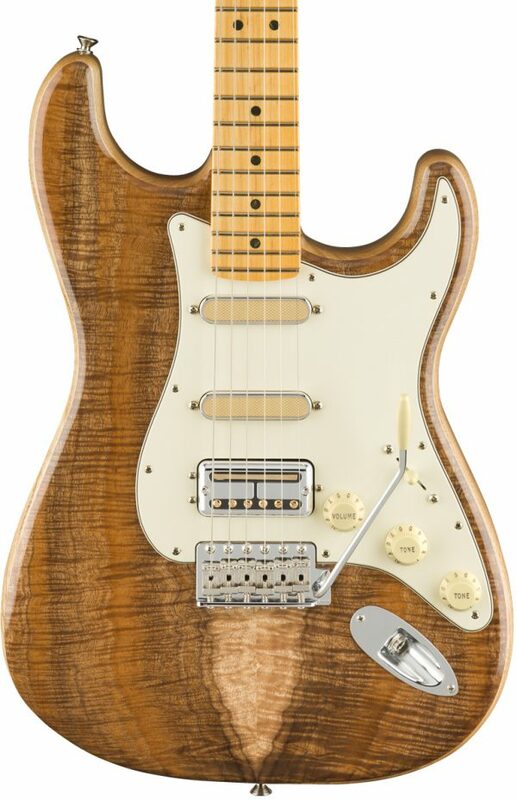 The “Modern C”-shaped quartersawn neck delivers classic Strat tone while the 9.5”-radius fingerboard and narrow-tall frets make it comfortable to play. Other features include a vintage-style 6-point tremolo, staggered tuners, black pearloid dot inlays, treble-bleed circuit and a special Limited Edition neck plate. Includes a brown vintage-style case.